Life Undivided: I'm a Book Reviewer! Last week I took the plunge and joined my friend Tiffani as a book reviewer for Thomas Nelson Publishers. It is a great opportunity for bloggers to get free books by writing short reviews on selected Thomas Nelson books. When you complete the review, you keep the book! Good deal, eh? 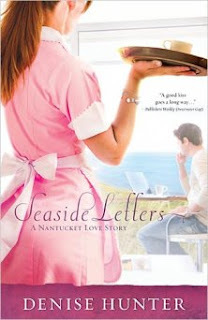 For my first book, I reviewed Seaside Letters by Denise Hunter. Seaside Letters follows Sabrina Kincaid, a young, world-weary college graduate working as a waitress at a greasy spoon in Nantucket. Sabrina came to Nantucket after a nasty breakup wrapped up in a painful family betrayal. Sabrina works as a research assistant for a local mystery writer in exchange for room and board, using her outstanding English skills and literature background to add drama and intrigue to her friends' rich stories. Tucker is a local guy. A trained lawyer who chooses to spend his days working at his boating business rather than enter the 9 to 5 work world. Tucker is a regular at Sabrina's cafe. The two soon strike up a amicable relationship as server and customer, but Tucker wants more. The rest of the story follows their secret semi-anonymous online relationship and the complicated results of their secrecy and half-truths. At the risk of ruining the plot I will stop there. You'll just have to read it! When I first read the cover of the book I thought that it honestly sounded lame and contrived. However, when you actually get into the "meat" of the book it really draws you in. There were definitely times during the novel when I wished the author would just end our misery and reveal all the secrets, but the conclusion was worth all the torturous moments. If you are a fan of modern, Christian (or clean) romantic fiction, this is a great book. There is even a reading group guide in the back for all those book clubbers out there! Funny, Carrie! 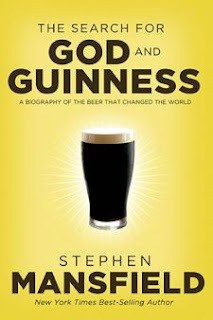 I don't know if you saw that I just reviewed "Seaside Letters", too - and what i know you don't know is that I'm reading "God and Guinness" next, too! This is so cool! If I had time to read anything anymore, I would totally get into this game. And the book sounds interesting too. 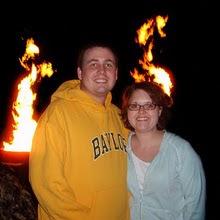 My name is Shannon and I am working with Pastor Andy Deane who recently wrote the book: Learn to Study the Bible – it teaches 40 Bible study methods. We would love to send you a free copy to see if you would review it on your site. Recently we’ve received some exciting endorsements from Dr. Catt (pastor of church that produced the movie FIREPROOF) and Pastor Bob Coy (9th Largest church in USA). If you are able to blog about this new Bible study book please send me your mailing address and also let me know if an internet ebook version would be possible for you to read (saves us money to do that). Pastor Andy Deane's new book teaches you forty different step-by-step Bible study methods to help you discover, apply and enjoy God’s Word. Each practical method has a handwritten example to demonstrate it and make it easy for you to follow the steps. Learn how to study the Bible with so much variety that you'll never get into the rut that routine brings ever again. Learn to Study the Bible has more Bible study methods than any other book out there!